The content management system powered by WordPress has skyrocketed. It currently powers about 60 million different websites, providing the supporting platform for numerous businesses and influencers in 2018. If you have accessed WordPress with its latest updates, then you are likely aware of the brilliant security provided to the backend. It now allows you to add on multiple customized security features to your platform of digital signage, in addition to the eye-catching aesthetics. User interface is the primary consideration for any website or digital signage platform. It is the user interface that decides whether or not the user is willing to stay on the page. Since its inception, WordPress through trial and error has come to create smoothly working web interfaces. When it comes to content, WordPress makes modifying, formatting and planning digital content much easier. You can never feel short of templates when you work with WordPress, as there are numerous themes and templates from which to choose. In fact, there are multiple themes and templates that have been developed especially for digital signage purposes. A couple of the themes that work brilliantly with digital signage are Catch-Box and SuperMag. While working with digital signage, the goal is to reach the target audience. There is no use in creating content or digital signage if it will not reach the people for whom it is intended. If you know your demographics, creating the digital signage that appeals to them directly is relatively easy. 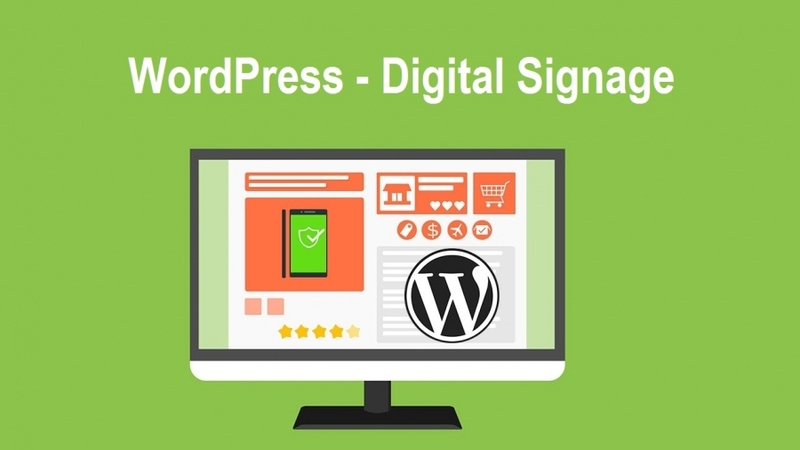 WordPress is undoubtedly a miraculous platform offering loads of features and functions. We are a leading company offering some of the best web development services in Somerset County, NJ. For more on expanding the reach of your company’s website through an optimized web presence, contact us today.